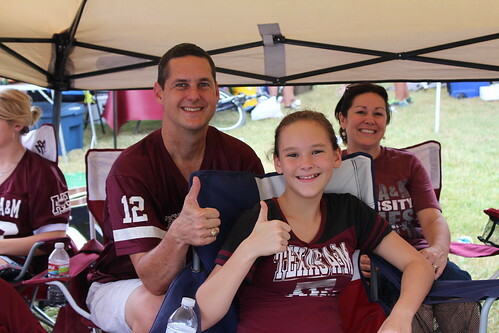 We were out of town for the first couple football games of the season, but now that we're back we're LOVING tailgating at the Texas A&M games. 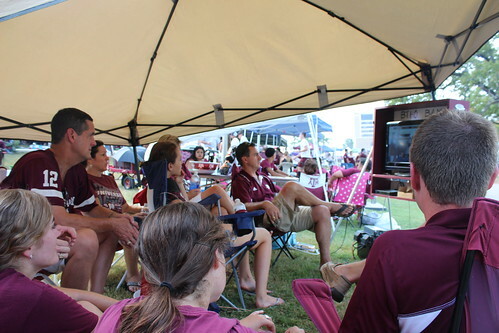 We started going to all the home games last year (it's about a 90-minute drive), and this year we've improved our set-up a bit. My parents gave us a maroon tent for Christmas, so now we have two tents (yay more space! ), and Jeff built an awesome TV box/stand that makes transporting and watching the TV easier and better. 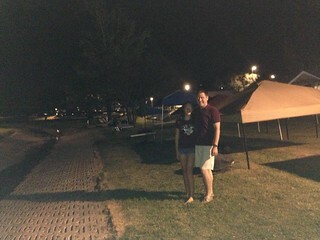 Jeff and Karoline staking our tents in Spence Park on Friday night! 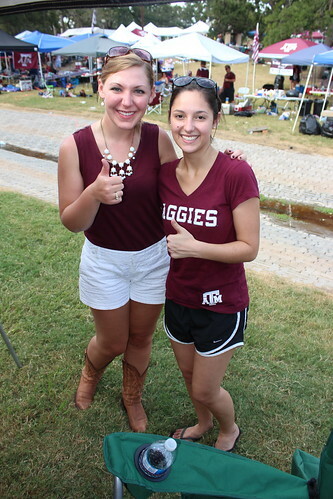 On Saturday we got up bright and early and spent the entire day in Spence Park! 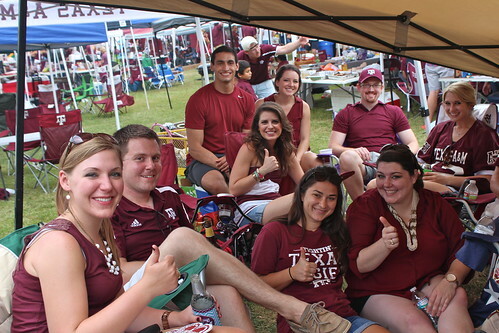 Since the Alabama game was a big deal, there were a LOT of people in College Station from out of town, so we got to see lots of friends and family. 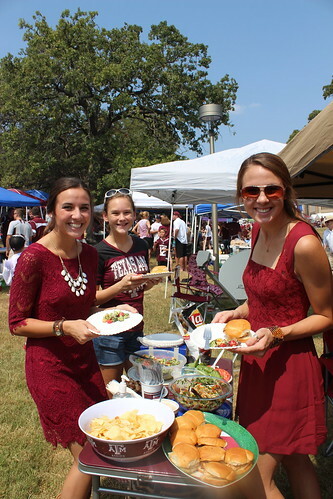 My parents also gave me a tailgating cookbook last Christmas, so I was able to try out some new tailgating-friendly recipes. 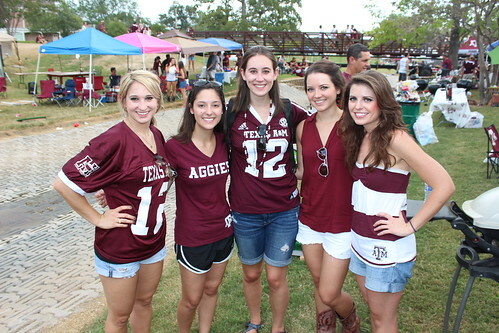 Some of my sorority sisters! These are my dear friends Pilar and Amy (they were both bridesmaids in our wedding). The three of us live in three different cities now, so this was the first time all three of us had been together since my wedding! My heart was so happy all day to see them both! 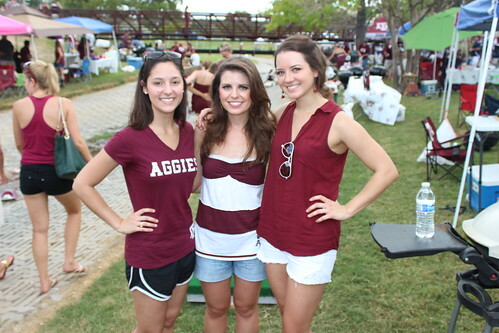 Two of my friends from college - we all met in our dorm freshman year right after we moved in! 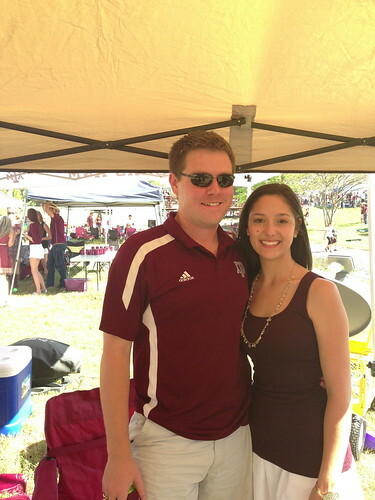 My friend Emily (who also happens to be dating Jeff's brother)! 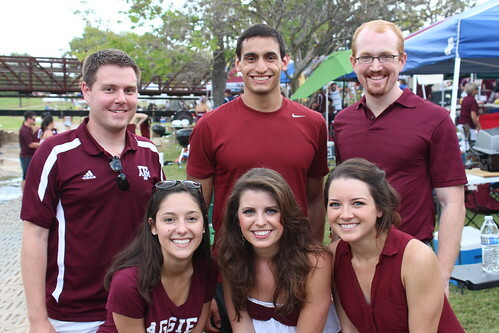 It was like a giant reunion and we had such a great time! 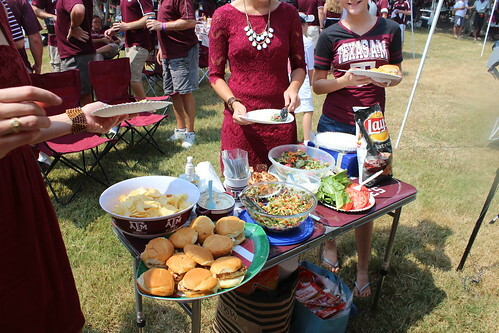 I feel like Jeff and I make a really good tailgate-hosting team. I love to cook and plan, so I take care of the meals and coordinating with friends and family. 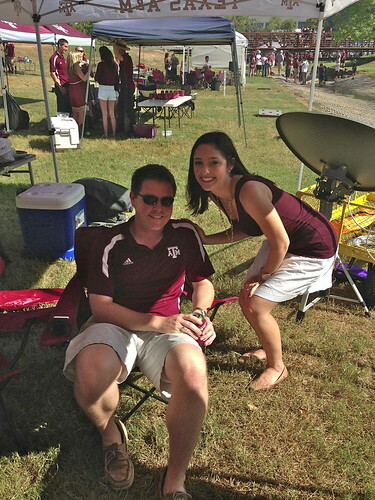 Jeff loves football and building/engineering stuff, so he takes care of the TV-satellite set-up (which is actually pretty complicated) and transporting everything from our garage to Spence Park. 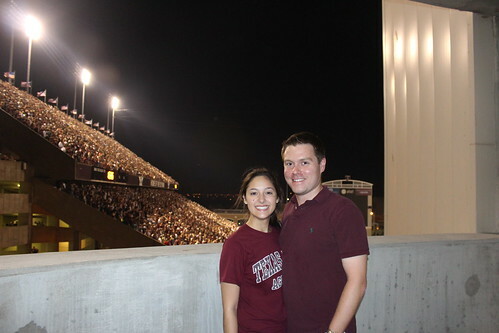 We both love college football (he actually loves the sport... I love the atmosphere and traditions!) 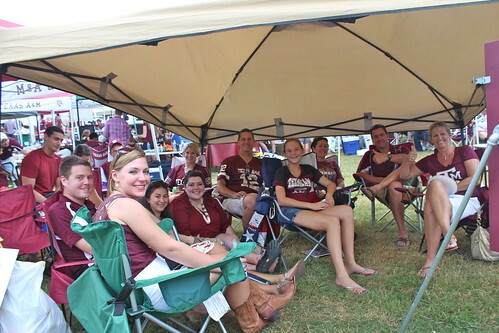 and hanging out with friends and family, so tailgating has kind of become a shared hobby for us, which I love! 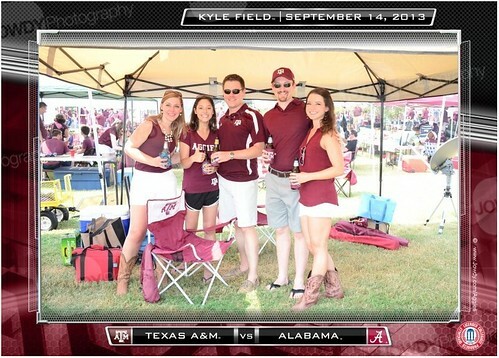 The SMU game was much more low-key. 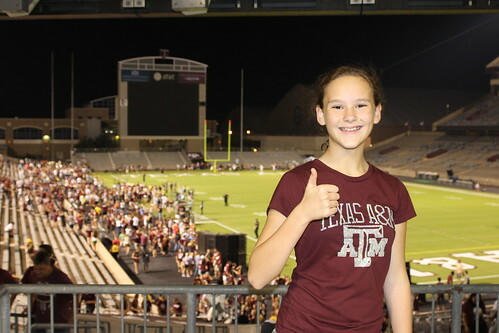 College Station wasn't nearly as crowded, and we watched the game with just my parents and littlest sister (although a few other people stopped by to say hello!). Spence Park seemed pretty empty after the chaos of the Alabama game the week before, so it was really relaxing to be out there just hanging out with family. So fun! 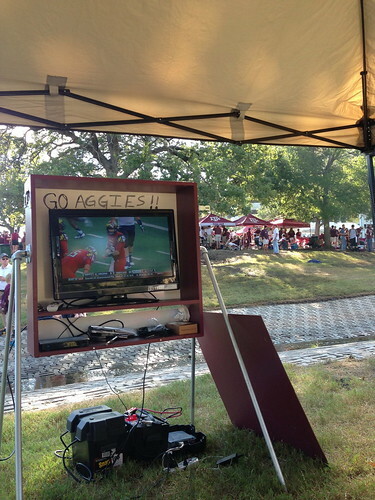 Looks like a fun tailgating set-up! 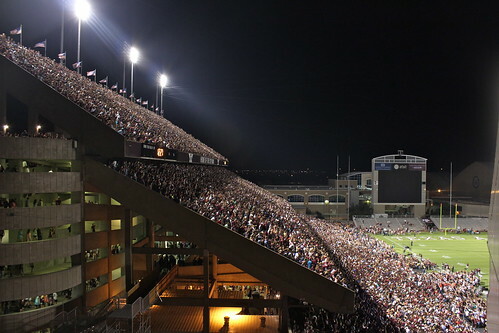 And I think that the Midnight Yell is one of the coolest college football traditions. We're currently struggling to keep students in the stands through half-time. So fun! 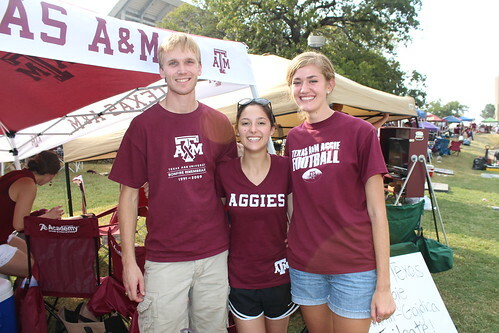 I've been to one Aggie game and loved it! 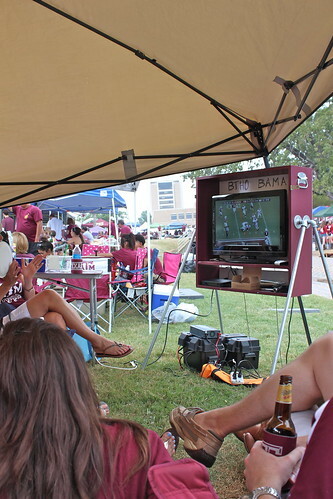 Wow I sooo wish pittsburgh had a tailgating area like that! 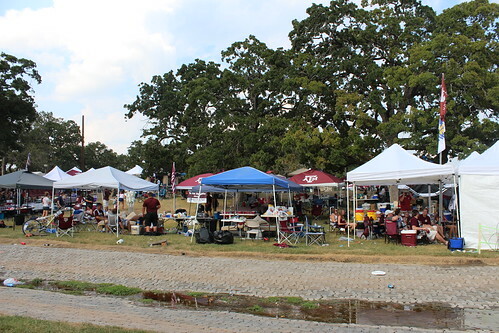 I love to tailgate but it is very difficult to do anymore without actually having tickets to the games, concerts, etc. 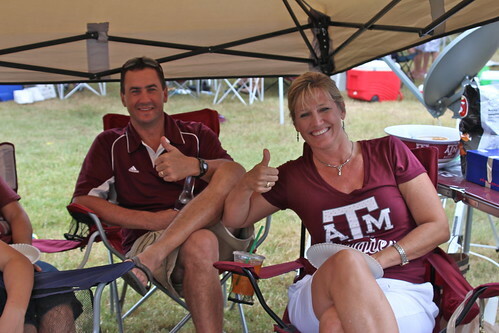 I have tailgated in extreme heat, extreme cold and everything in between but never grass!